Chelsea are considering a move for Josip Ilicic, the Palermo and Slovenian international midfielder. The Blues have been quoted around £25m for his services. 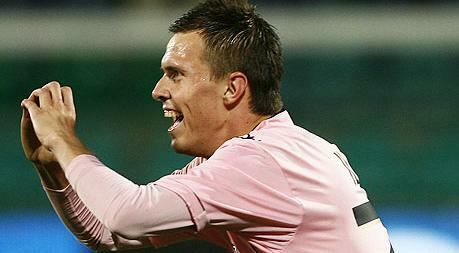 Since arriving at Palermo in 2010, the midfielder has become one of the stars of the first team. Palermo have slapped an enormous price tag on the midfielder, as they look to stave off the interest from some of Europe's biggest clubs for their emerging young talent. Javier Pastore quit Palermo in a mega money deal for French giants PSG. Ilicic still has five years remaining on his Palermo deal, and so the Italian club are able to demand a high price for the 23 year old. Should Chelsea continue with their interest, they may want to send their scouts to watch him at the Stadio Renzo Barbera in Palermo, where the team have won all five league games so far this season. Away from home, Palermo have just one point from six Serie A matches, including the weekend's 3-0 loss at league leaders Juventus.